Prime Minister Justin Trudeau says Canadians should "pay close heed" to the country's top civil servant, who testified Thursday there was no inappropriate pressure placed on Jody Wilson-Raybould to override a decision to prosecute SNC-Lavalin. Prime Minister Justin Trudeau says Canadians should "pay heed" to the country's top civil servant, who testified Thursday there was no inappropriate pressure placed on Jody Wilson-Raybould to override a decision to prosecute SNC-Lavalin. 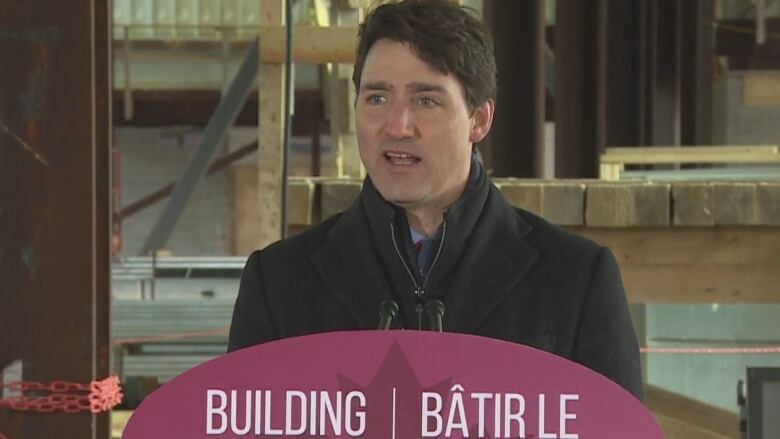 Taking questions from reporters after an event in St. John's today, where he visited the Core Science Facility under construction at Memorial University, Trudeau called Privy Council clerk Michael Wernick an "extraordinary public servant" who has served Canada with "integrity and brilliance." Wernick told the justice committee probing the SNC-Lavalin affair that he warned Wilson-Raybould — who was justice minister at the time — that there would be economic "consequences" from prosecuting SNC-Lavalin, including big job losses. But he maintained that he, Trudeau and officials in the Prime Minister's Office did not impose any inappropriate pressure on the minister. Asked why Wernick and PMO officials pressed Wilson-Raybould to consider what was at stake in an SNC-Lavalin prosecution — given that the decision had been made already to proceed with that prosecution — Trudeau said the government has a fundamental responsibility to preserve jobs and promote economic growth while respecting the rule of law and an independent judiciary. "That is something this government has always done," he said. "I would recommend that people pay close heed to the words of the clerk of the Privy Council. His service to this country over decades in the public service leaves him well-positioned to understand what institutions are grounded in, and make sure that we're doing the right things as a government." The Public Prosecution Service told SNC-Lavalin on Sept. 4, 2018, that it would not negotiate with the company on a Deferred Prosecution Agreement, which would have applied alternative penalties to avoid criminal proceedings against the Quebec-based global engineering firm on bribery and fraud charges related to contracts in Libya. Wernick said he called Wilson-Raybould on Dec. 19, 2018, to discuss various issues — including the option of a remediation agreement. During that call, Wernick said he spoke of the implications of prosecuting the company for employees, suppliers and communities. He said he told Wilson-Raybould that the prime minister and "a lot of her colleagues" were anxious about what they were hearing and reading in business media — articles warning that the company could close down or move if criminal proceedings went ahead. "I am quite sure the minister felt pressured to get it right, and part of my conversation with her on Dec. 19 was conveying context that there were a lot of people worried about what would happen ... the consequences not for her, the consequences for the workers, and the communities and the suppliers," he told MPs on Thursday. Wernick said he did not cross any line in his exchanges with Wilson-Raybould, insisting the conversations were "lawful and appropriate." The justice committee is examining the growing controversy touched off by a Feb. 7 Globe and Mail report that said Trudeau's aides attempted to press Wilson-Raybould to intervene in the prosecution of SNC-Lavalin, and that exasperation with her lack of co-operation was one reason for shuffling her out of the Justice portfolio. Wilson-Raybould has remained silent on the issue, citing solicitor-client privilege. This week, she told the House of Commons that privilege is not hers to waive, and she hopes she is able to speak her "truth." Opposition Conservatives and New Democrats have been demanding the prime minister waive privilege so Wilson-Raybould can speak freely when she appears before the committee, which she is expected to do next week. Wernick said Thursday he doesn't believe Wilson-Raybould is bound by solicitor-client privilege, but Trudeau said again on Friday that there are serious implications at play. "This is something we do have to take very seriously because it's a fundamental part of our justice system and, indeed, in this case there are two ongoing court cases," he said. Wilson-Raybould's successor, Justice Minister and Attorney General David Lametti, is reviewing the matter, but has offered no indication of when he could provide advice to the prime minister on privilege. As the controversy around SNC-Lavalin heats up, the company itself is facing headwinds. It reported Friday that it had slashed its dividend by 65 per cent and recorded a fourth-quarter loss of $1.6 billion. The company said it will now pay a quarterly dividend of 10 cents per share, compared to its earlier payment of 28.7 cents per share. SNC-Lavalin CEO Neil Bruce told a news conference today that the company and its current employees have done nothing wrong. "Our employees are being used as puck in political hockey game," he said. "They don't deserve it and, frankly, we've had enough." Bruce said the company requested that the charges against it be "circumvented" through a remediation agreement — that it didn't ask for them to be dropped entirely. He argues that a remediation arrangement would be in the public's interest. The company will "vigorously defend" itself in court, Bruce said. Finance Minister Bill Morneau was asked Friday whether he thinks SNC-Lavalin can survive if the criminal prosecution proceeds. "I really can't speak about the potential success of any individual business," he said in Toronto after meeting with private sector economists. "I think in the case of SNC-Lavalin, it's an organization that's been very successful over a long period of time and we obviously want to see a business like that, that employs that many Canadians, continue to be successful." 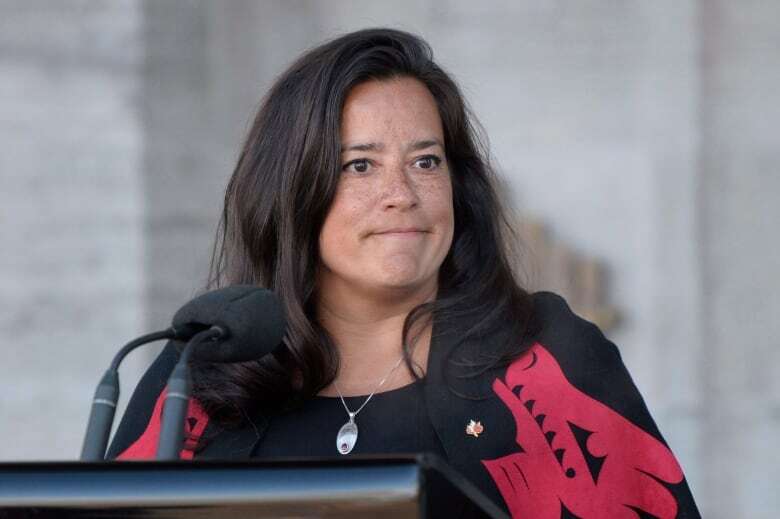 Can Wilson-Raybould claim solicitor-client privilege over SNC-Lavalin?